Career Café is a fun way to teach students about careers! One of my biggest success as a school counselor was starting a Career Café at my school. Students absolutely love Career Café, it is a blast to host, and it meets ASCA Student Standards in the Career Domain. 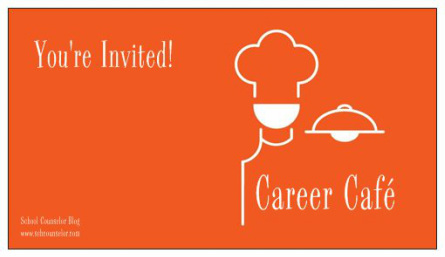 Career Cafe can be geared toward any level - elementary, middle, or high school! Anvil Classic Tee, 100% preshrunk cotton tee, with TearAway™ tag. School Counselor Blog www.schcounselor.com on back.